Admin privileges are required to do some certain actions throughout the application. The account owner can provide and remove admins privileges to Employees anytime. Click on Employees tab in the navigation bar. 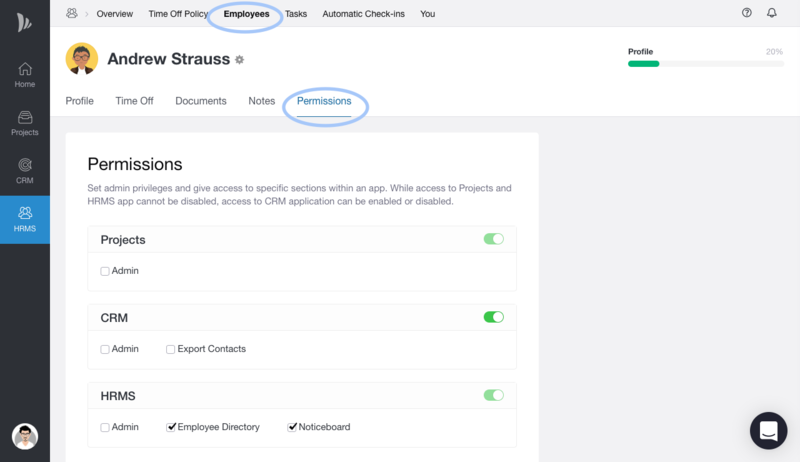 Use checkboxes to give admin privileges and to give access to specific sections within the app. Only account owner can provide admin privileges and set permissions to employees. While you can disable/enable access to CRM application to employees, you cannot disable access to Project Management and HRMS.